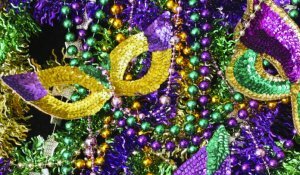 Mardi Gras is more than just a day…it’s a whole party season! When it comes to having fun, South Louisiana knows how to let the good times roll. 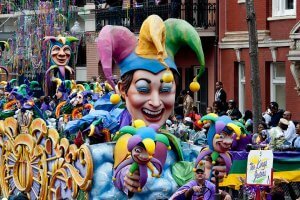 Lafayette and the surrounding areas have an amazing lineup of events, activities and parades going down. We’ve got festivals and carnival rides. There are parades and beads. Live music and dancing everywhere. Delicious food around every corner. There’s even some folks running around trying to catch chickens. So much partying, so little time! It’s gonna take a little planning to make sure you don’t miss out on the fun. 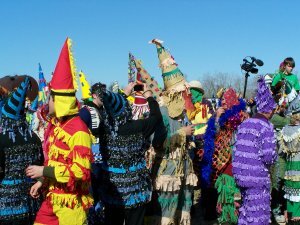 Lafayette Mardi Gras is sure to be a good time. But as with any large public event, you need to be careful. Weather – Check the weather forecast. This is Louisiana. It may be freezing, it may be hot, it may be freezing in the morning and hot in the afternoon. Plan your wardrobe accordingly. Wear sunscreen. Mind your fingers – Reaching down to collect a bead or dubloon on the ground may result in stepped upon fingers. Do not run into the street – Accidents can happen. Don’t get run over. The people driving the floats cannot see you to avoid you. Have a meeting place – There will be thousands of people on the streets. Cellular networds can get overwhelm and leave you without communication. Make sure everyone knows where to meet in case you get separated. Drinking – Drink responsibly. Don’t bring glass containers. Driving – If you’ve been drinking do not drive. Call a friend, or a taxi or an Uber. Be mindful of other drivers on the road who may have been drinking.